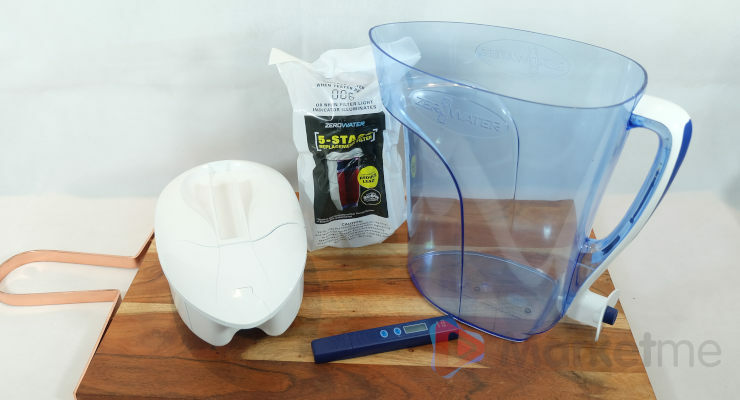 Unlike other leading water filter jugs, ZeroWater benefits from a patented, 5-stage Ion Exchange Filtration system which removes virtually all dissolved solids from your water. The four additional stages of water filtration ensure larger particles and other contaminants are removed, ensuring the filter delivers a “000” reading on the included laboratory-grade water quality meter. A great design that creates pure tasting water, it’s easy to make but will take some time as you need to wait for the water to be filtered through.